On the 14th of August, Local 689 of the Amalgamated Transit Union announced a protest to be held Noon-1PM, Aug 16 at Metro Center. 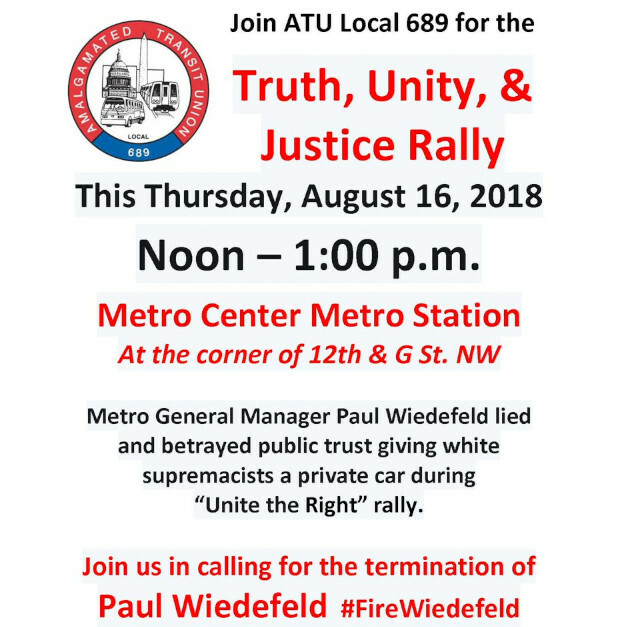 Local 689 is demanding that Metro CEO Paul Wiedefeld be fired for providing neo-Nazis with a special train for Unite the Right II. 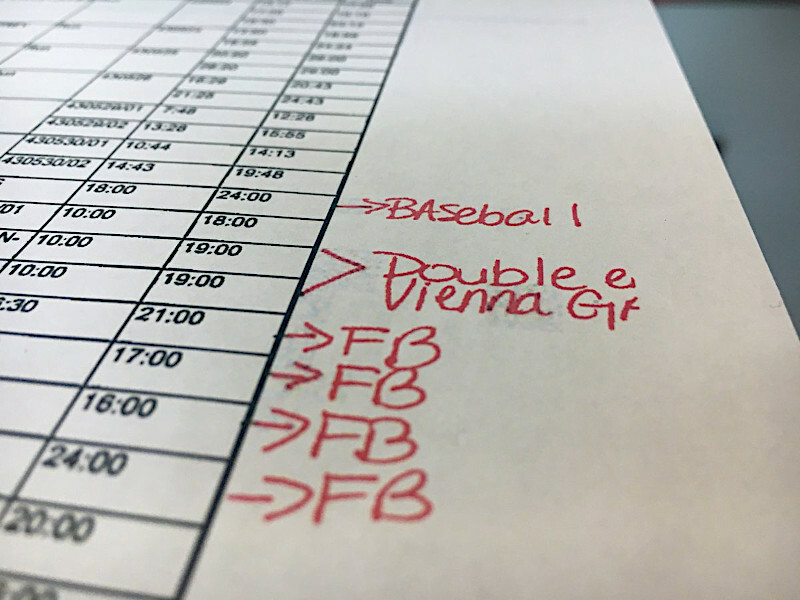 Also on the 14th of August, the union published photos of cops and Nazis at the Vienna Metro-and the schedule sheet containing the order for the special train. The special, whites-only train for Unite the Right II was marked "special" by WMATA supposedly due to track work. It actually went to Vienna to pick up the fascists, arriving just after a normal train to pick up other passengers. One train operator had to go on leave due to the stress. 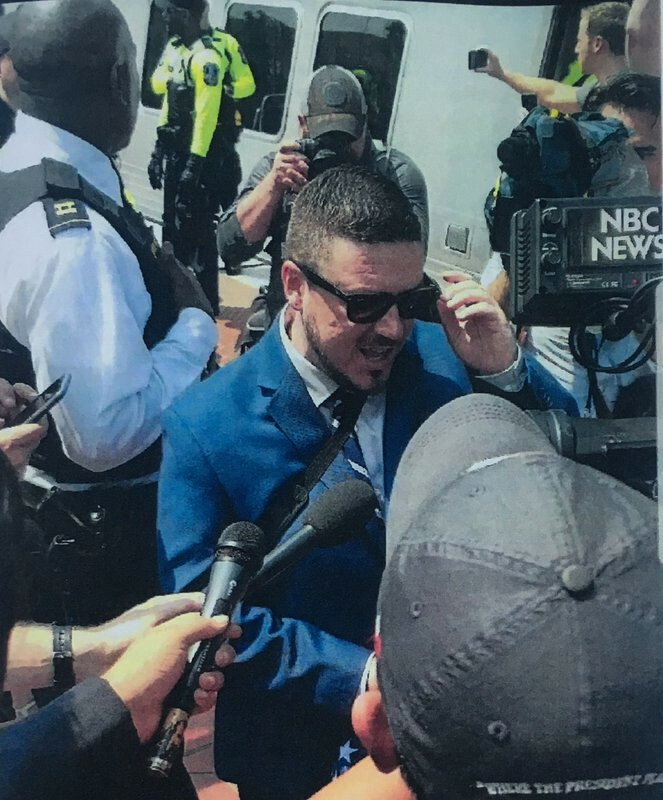 Apparently the impetus for WMATA deciding to provide special service to a few dozen fascists attending Unite the Right II was that their bus driver had refused to show up, claiming to have been detained all day by police. With bus transit now out of the question, someone (maybe Mayor Bowser or police chief NewSham?) decided to order Metro to run that special train after all-and to tighten the screws on ATU Local 689 and ensure that the special train was not stranded by a walkout like UTR II's bus ride . 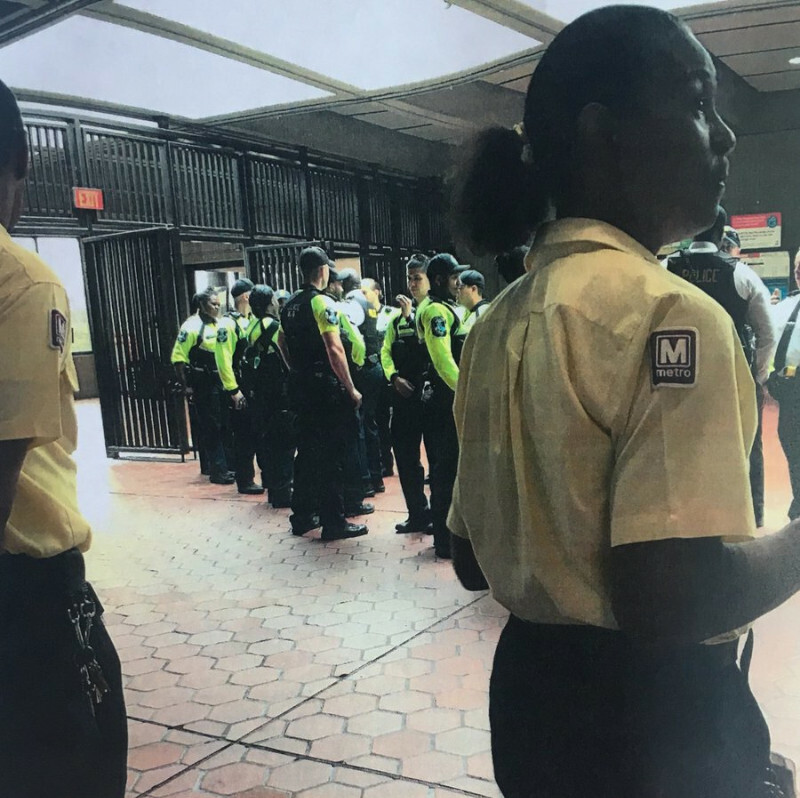 ATU Local 689 published this photo on Twitter (cropped here) of the heavy police presence inside the Vienna Metro station to protect Unite the Right II from Metro's riding public.